Tracey Conner went to college with hopes, dreams, and aspirations to be a stage actress. Her years at Bowling Green State University solidified that passion, and after she graduated, she made her way to Orlando, Florida where she created the puppet troupe Michelee Puppets. Today, over 30 years later, Michelee Puppets has touched the lives of children, teenagers, and even adults. Tracey’s passion for puppetry shines through every production her and her team develop. Tracey’s mission is simple: empower lives through the art of puppetry. After seeing Michelee Puppets in action, it becomes clear that empowerment is clearly what they do. 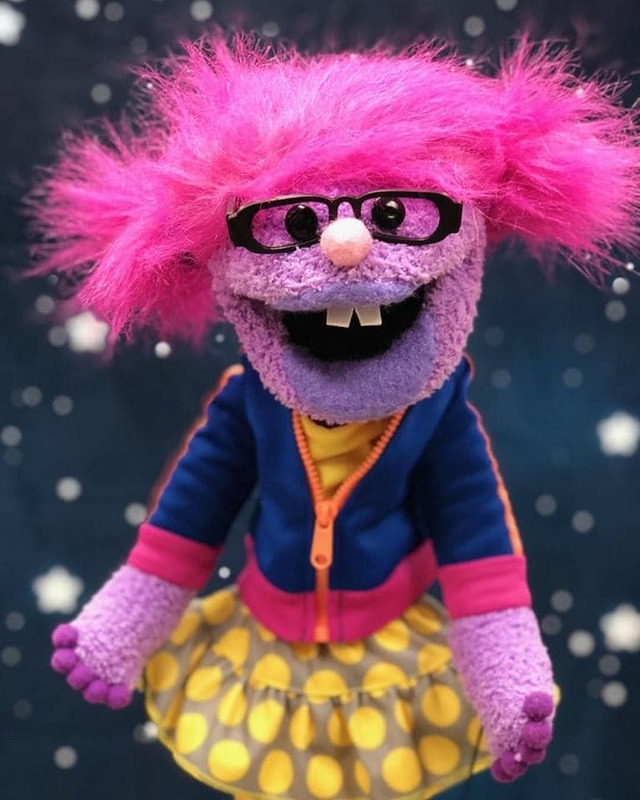 From anti-bullying to confidence building to health and wellness to STEAM-related shows, Michelee Puppets utilizes colorful, animated, and brilliant puppets to break down barriers, empower youth, and change lives. And these puppets have indeed changed lives. Tracey tells a story about a young girl who was tragically burned over a large percentage of her body in a freak accident. She created a puppet that emulated the girl and her burn wounds and visited the young girl’s classroom. The puppet spent some time with the girl’s peers and educated them about her accident. Michelee Puppets got those students to look at their peer with empathy, compassion, and understanding, and were so moved that when the girl came back to school, they all rallied behind her to help make her feel comfortable and accepted. Another student, after interacting with a puppet, had the courage to come forth about sexual abuse that was occuring in her home. These puppets break down barriers and become a useful tool to help students communicate what are often guarded feelings and information. This is what Michelee Puppets is all about. The ever-so humble Tracey Conner, executive director of Michelee Puppets, absolutely loves what she does; it’s clearly evident through her shows, which keep evolving, growing, and finding new ways to empower youth. But running this organization isn’t always a piece of cake. Once a very welcomed site in public schools throughout Central Florida, schools are now so stretched for time that they seldom can squeeze in a show from Michelee Puppets. Tracey has had to learn how to evolve the troupe to keep it financially solvent and visible in the community. She’s taken her puppets and performers online, created an online curriculum to keep students engaged, and has, in partnership with Maitland Venue On The Lake, brought her puppets to other stages with creative programming designed for the entire family. What’s next for Michelee Puppets? Tracey has a vision of helping organizations recruit young engineers, food scientists, researchers, and more through her shows. She’s cultivating relationships with Orlando centric organizations, such as Publix, Florida Hospital, and Duda, helping them attract new talent through rich content that explores science, math, the arts, engineering, and more. Tracey is driven by her passion for the arts and her drive to build up generations of students. Teaching children about self respect, dignity, empathy, and gumption is critical, and Tracey and her talented team of humans and puppets is fueling up both the Orlando community and the internet with empowerment. To learn how you can support the great work that Tracey and the team at Michelee Puppets do, be sure to visit http://micheleepuppets.org. Tom is the chief coffee brewer, CEO, digital marketing strategist, and kickass content creator for brands across the globe at On Target. 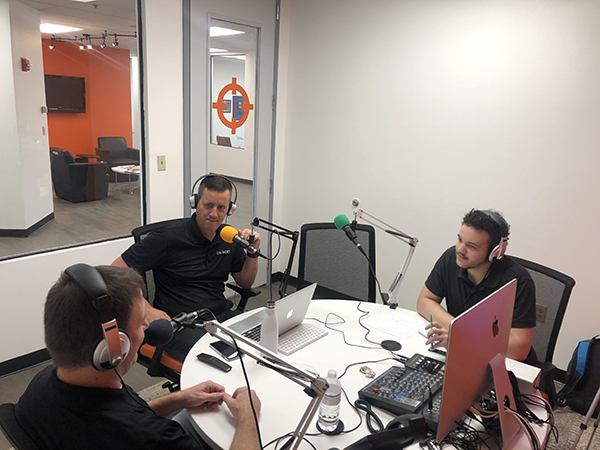 He loves nothing more than helping small to medium-sized businesses find their online voice and growing their leads, prospects, and sales.